The products most of us buy come in standard packaging that serves no purpose apart from displaying their brand name and keeping the contents inside. 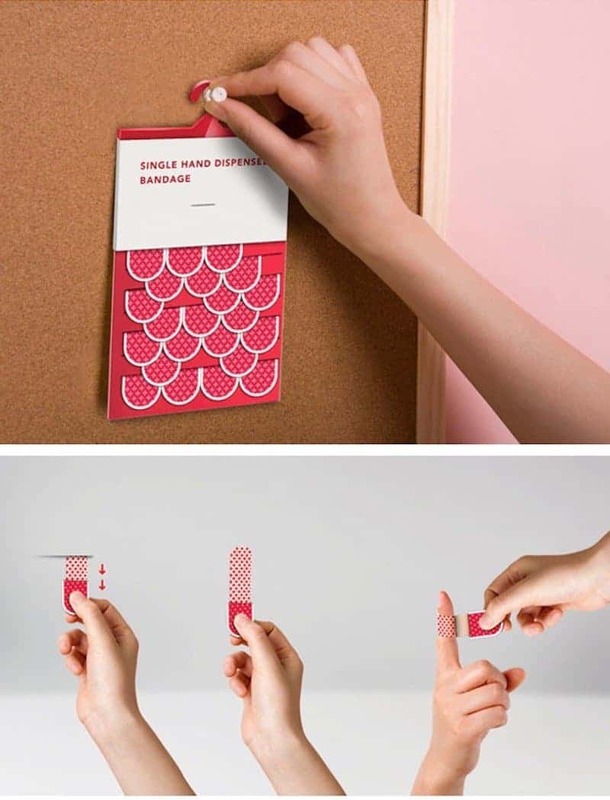 However, have you ever seen a product that has packaging that is ingenious? Packaging that is designed so well that you don’t even need the product, but want it solely for the packaging? Well, read on to find out about some awesome packaging ideas, and if you own a product, maybe you should employ one like these! 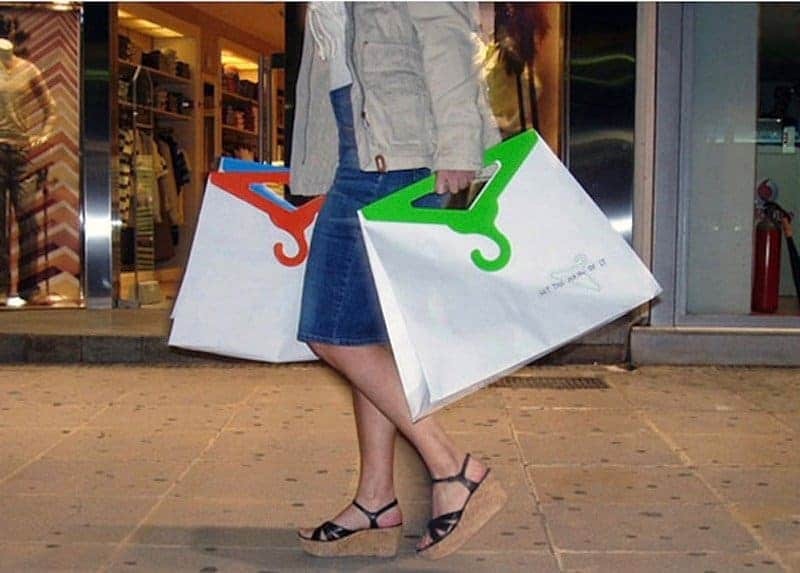 These are the coolest paper bags ever, and the best part is that if you need more coat hangers, you can always get these paper bags because the handles actually detach and become hangers. 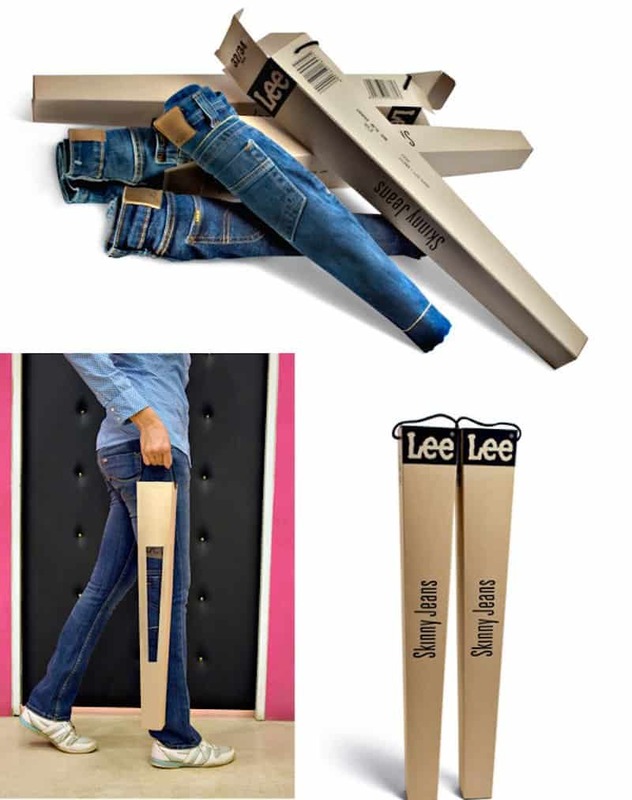 Even though this looks like a bunch of denim umbrellas, they’re actually the new packaging for Lee Skinny Jeans. 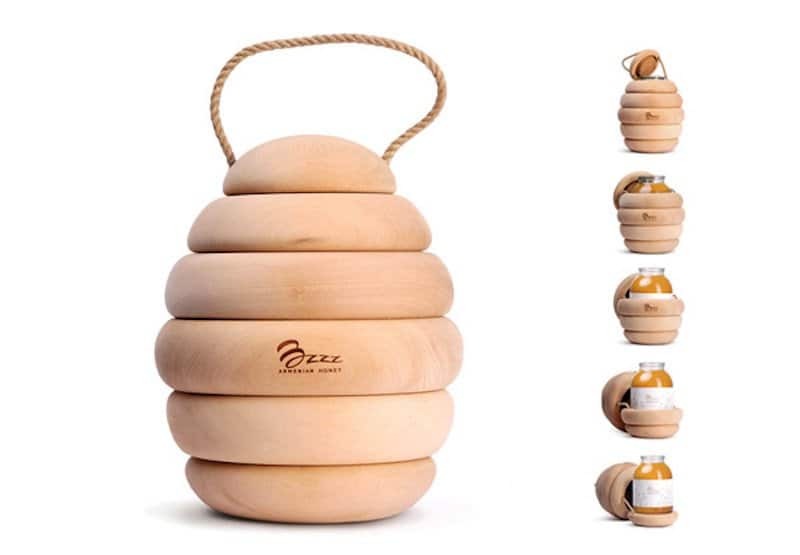 How cool is this wooden beehive that you can buy to keep your jars of honey in? 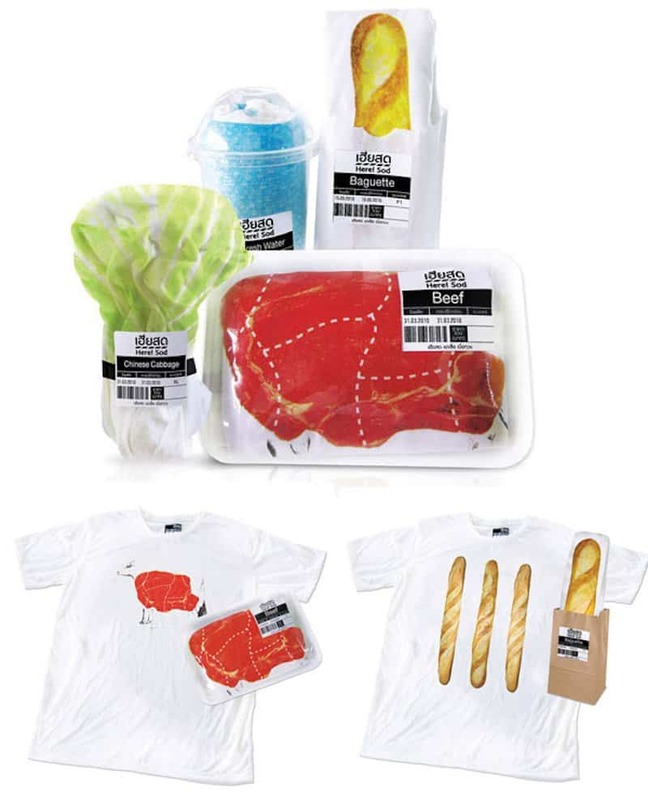 A design agency came up with a new creative idea to create a range of t-shirts that looked like food from the supermarket, so if you love food just buy one of these shirts. 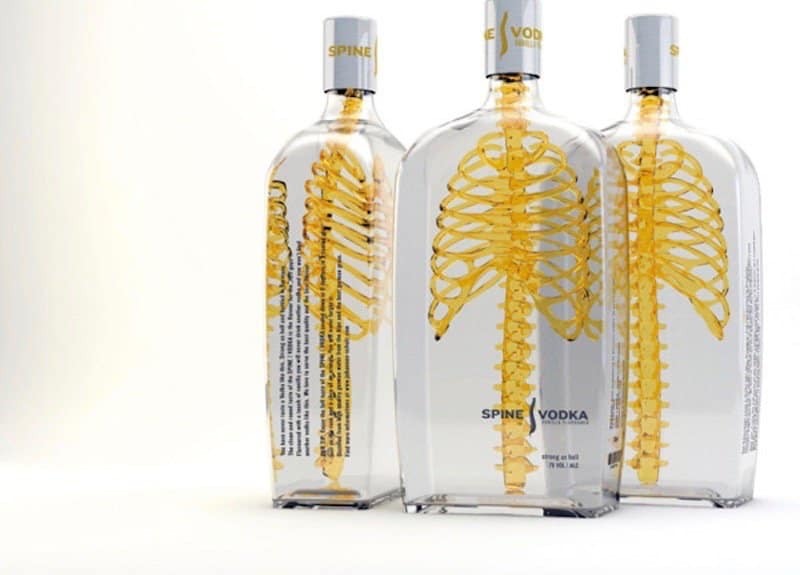 This new design for the Spine Vodka has been made to convey the idea that the beverage is a real “backbone” that buyers can actually trust. If you need fruit in your diet but never feel like eating fruit, they’ve come up with these adorable packaging for fruit so you’re never turned off of them. If you own a gym and want more customers, why don’t you team up with your local bakery and do what this gym did. 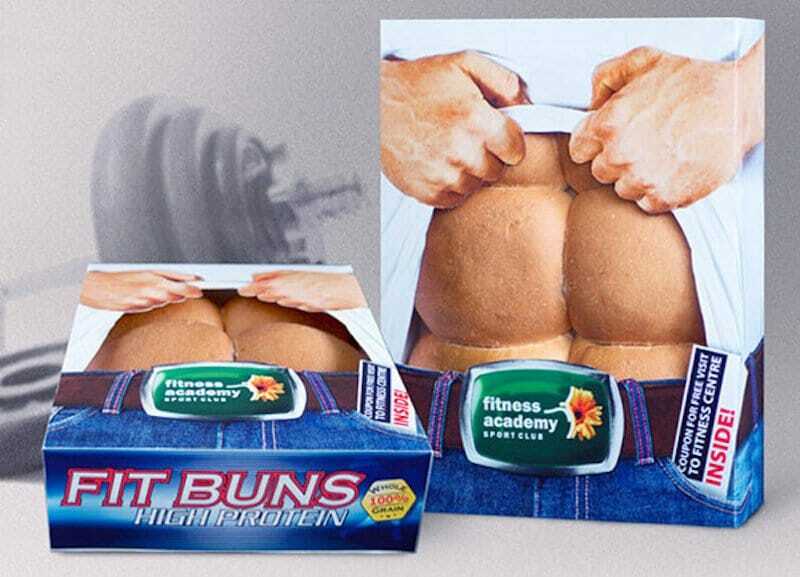 They ended up getting an increase in fitness center clients by 25% in just one month, all because of these buns. BANDiful has finally realized that it is hard to put a bandage on one hand if the other is injured, so they’ve come up with this packaging that unwraps the bandage for you. 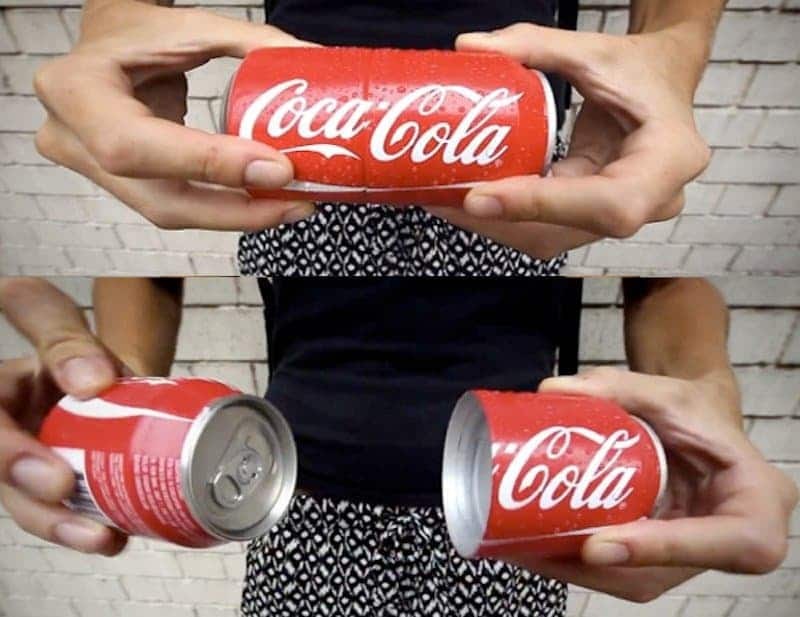 If you want to share your Coca-Cola with a friend, they’re now selling this amazing idea, so why not try it. 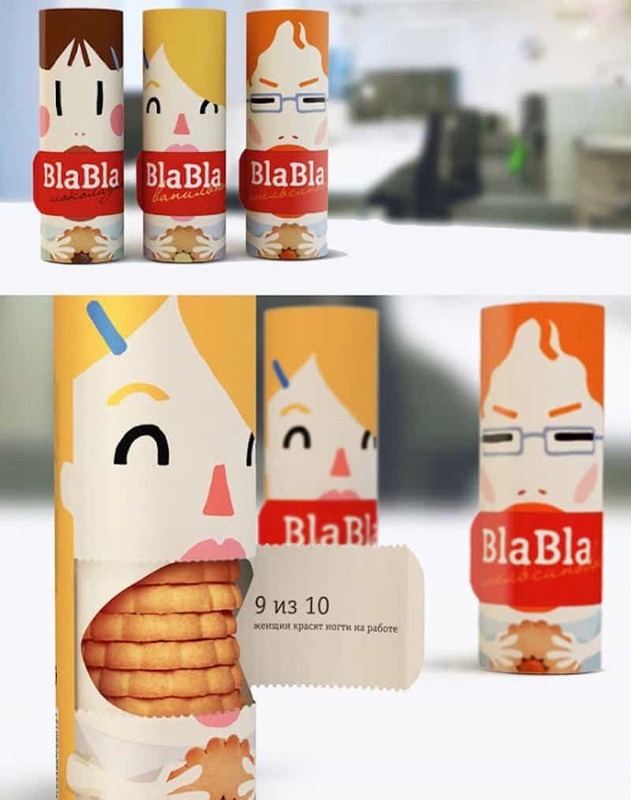 These cool designs for Blah Blah Cookies actually come in different face designs that open at the mouth where is says “bla bla” to reveal the cookies.